Brenda Jackson welcomes you back to Catalina Cove, where love is waiting to be reclaimed...Ashley Ryan never doubted that her husband, Devon, was the love of her life. Even now, three years after Devon died in a car wreck while on a business trip, Ashley can't bring herself to move on. But when her girlfriends surprise her with a getaway to beautiful Catalina Cove, Louisiana, she gets the shock of her life when she encounters a man--bearded, more rugged than before, but unmistakably her Devon. "Ray Sullivan" moved to this quiet coastal town after waking up in a hospital with amnesia. 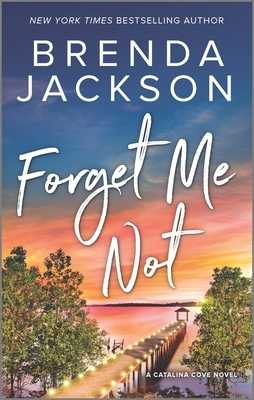 Haunted by a life he can't remember, he's built walls around his heart and a quiet life running boat tours--a life that includes no recollection of Ashley, a woman he suddenly finds himself irresistibly drawn to.Doctors warn Ashley of the danger in forcing her husband to remember the past. Though she longs to tell him the truth, she finds herself falling all over again for a man she knows may never truly come back to her. In this place where healing and second chances are just a heartbeat away, can love take root once more?